Antibiotics have a proud history in helping us fight infections. However, of late, medical experts are expressing concern over the misuse of antibiotics. When an antibiotic is prescribed to treat a mild infection, it loses its potency the next time around as bacteria and viruses learn to adapt and flourish in its presence. This is what’s known as “antibiotic-resistance.” When it comes to the effectiveness of these drugs, under-prescribing is the best approach. Now there’s a new fear surfacing around the use of antibiotics. A particular class of these drugs called fluoroquinolones may damage the kidneys when taken over the course of time. Fluoroquinolones include such drugs as ciprofloxacin, gatifloxacin, gemifloxacin, levofloxacin, moxifloxacin, and norfloxacin. A study has found that people who take fluoroquinolones may increase their risk of developing kidney problems almost twofold. This alarming statistic was discovered by scientists who noted the drug’s potential to damage collagen and connective tissue after previous reports had come in about tendon ruptures and retinal detachments. This class of drugs may be particularly risky for those already taking ACE-inhibitors to treat high blood pressure, heart failure, or diabetic kidney disease. When fluoroquinolones are combined with ACE-inhibitors, the risk for kidney damage jumps four and a half times higher than for those who aren’t taking this drug combo. Fluoroquinolones have had a checkered past before this latest bit of bad press appeared. In 2008, the Food and Drug Administration (FDA) released an alert to the pharmaceutical companies making fluoroquinolone drugs. The FDA required these companies to add a warning on drug bottles that clearly stated an increased risk for developing tendonitis and tendon ruptures. The FDA issued this alert when studies clearly showed that fluoroquinolones were associated with tendonitis and tendon ruptures particularly in those over the age of 60. They noted that the risk ratio increased for those who had had a kidney, heart, or lung transplant and in those who were already taking steroid medication. The FDA actually told doctors that they should tell their patients, at the first sign of tendon pain, swelling, or inflammation, to stop taking fluoroquinolone. Doctors were also advised to tell their patients to refrain from exercising. Patients who found themselves with tendon pain were urged to contact their doctors “promptly,” and request a change of meds to a non-fluoroquinolone antimicrobial drug. Some newer fluoroquinolones that have been developed for therapeutic use are also having problems when it comes to patient safety. Grepafloxacin has been withdrawn from shelves due to causing adverse heart events. Trovafloxacin was withdrawn because it was causing liver damage. Gatifloxacin was withdrawn because it was triggering the symptoms of hypoglycemia. And gemifloxacin use was found to cause a rash to develop in many who took the drug. 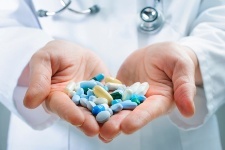 Fluoroquinolones can still be effective in treating infections caused by certain bacteria. They may be the best course of drugs to take depending on the type of infection you have. However, the drugs should be used sparingly and discontinued should any symptoms develop. Talk to your doctor about other antibiotics you could take instead of fluoroquinolones. Branswell, H., “Study suggests commonly used class of antibiotics linked to kidney damage,” The Canadian Press web site, June 3, 2013; www.canadianpress.com, last accessed June 5, 2013. Bird, S.T., et al., “Risk of acute kidney injury associated with the use of fluoroquinolones,” CMAJ. June 3, 2013.